A journeyman in the best sense of the word, Kent Mercker made his name over the course of an 18-season career as a young, hard-throwing left-hander in the Atlanta Braves’ bullpen before moving to the back end of the Braves’ dream rotation in the mid-1990s that featured future Hall of Famers Greg Maddux, Tom Glavine, and John Smoltz as well as Steve Avery. Mercker’s tenure with the Braves was highlighted by both team and individual accomplishments. He was a member of the Braves’ 1991 and 1992 pennant-winning teams as well as the 1995 world championship team. The Atlanta Braves selected the 6-foot-1, 175-pound pitcher Mercker in the first round of the June 1986 amateur draft. He proceeded quickly through the Braves organization, reaching Triple-A Richmond soon after his 21st birthday. The youngest player on the Richmond roster, Mercker went 9-12 for the 1989 International League champions, posting a 3.20 ERA in 27 starts. He received a September call-up with the sad-sack, 63-win 1989 Atlanta Braves. Mercker pitched in two games for the Braves that September. He was shelled in both outings, one of them a start, surrendering six earned runs and eight hits in 4⅓ innings. Mercker began the 1990 season in Richmond and in late June was promoted to Atlanta. Aside from rehab assignments, he never again pitched in the minor leagues. He became a fixture in the Braves bullpen in the second half of the 1990 season, picking up seven saves in 36 appearances for yet another cellar-dwelling Braves team. Mercker went 5-3 with a 2.58 ERA in the Braves’ 1991 dream season, working primarily as a middle reliever and occasionally as a closer (six saves). He made four starts, including one on September 11 when he pitched the first six innings of a combined no-hitter against San Diego. Mercker made three appearances for the Braves in the postseason. He took the loss at home in Game Four of the NLCS, which tied the series with Pittsburgh at two games apiece. Mercker surrendered a 10th-inning walk to the Pirates’ Andy Van Slyke, who wound up scoring the winning run when Mike Lavalliere singled him home off Mercker’s replacement, Mark Wohlers. He made two brief appearances in the seven-game 1991 World Series, holding the Minnesota Twins scoreless both times. Mercker returned to top form in 1993, posting a 3-1 record and 2.86 ERA in 43 appearances. He started six games from late July through September, pitching effectively but never lasting more than six innings. 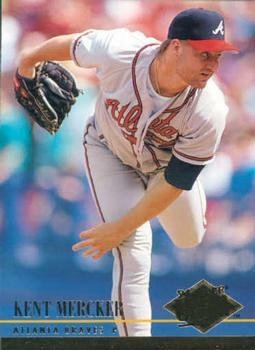 Mercker made a career-high five postseason appearances in 1993, all in the Braves’ defeat by the Philadelphia Phillies in six-games in the NLCS. In five innings of work, Mercker gave up just one run. He did not figure in any decisions. In 1994 Braves manager Bobby Cox decided to make Mercker his fifth starter. The decision paid immediate dividends, as the 26-year-old lefty pitched a no-hitter and struck out 10 Los Angeles Dodgers on April 8, his first start of the season. In his first season as a regular starter, Mercker won nine of his 13 decisions and posted a 3.45 ERA during the strike-shortened season.7 His record was second best among Braves starters, next to Greg Maddux, who posted a 16-6 record with a 1.56 ERA for the second-place Braves. After the promise of 1994, Mercker’s 1995 season proved disappointing. Though his performance was competitive with that of most fifth starters, Mercker did not develop into an ace. He went 7-8 with a 4.15 ERA. Mercker made two postseason appearances during the Braves’ run to the 1995 World Series. In Game Three of the NLDS, he got Colorado Rockies catcher Joe Girardi to fly out to end the 10th inning in a 7-5 defeat. In Game Three of the World Series, he surrendered an earned run in two innings of relief work against the Cleveland Indians in a 7-6 defeat at Jacobs Field that narrowed the Braves’ Series lead to two games to one. On December 10, 1996, Mercker signed a one-year free-agent contract with the Cincinnati Reds. He was a hard-luck 8-11 as a starter for the 1997 Reds. His 3.92 ERA was well under the league-wide ERA of 4.24. His performance in Cincinnati impressed the St. Louis Cardinals enough for them to sign him to a two-year deal that ended up being worth $3.8 million. Mercker worked a career-high 161⅔ innings and won a career-high 11 games against 11 losses in 1998. His ERA ballooned to 5.07, but that mirrored a league-wide uptick in ERA to 4.31. Mercker’s teammate Mark McGwire contributed significantly to the National League’s skyrocketing ERAs with his record-breaking 70 home runs. Mercker posted a 6-5 record for the Cardinals in 1999, but his ERA remained over 5.00. On August 24, 1999, the Cardinals dealt Mercker to the Red Sox for left-handed pitcher Mike Matthews and minor-league catcher Dave Benham. Mercker returned to form during his brief stint in Boston, going 2-0 in five starts with a 3.51 ERA for the wild-card-bound Red Sox. He made three postseason appearances for the Red Sox, who defeated the Indians in five games in the Division Series before losing to the Yankees in five games in the ALCS. Mercker started Game Four of the ALDS, lasting 1⅔ innings and surrendering two earned runs before being replaced by Rich Garces. Garces ended up with the win in Boston’s wild 23-7 victory. Mercker started Game One of the ALCS and received a no-decision in a 4-3 loss at Yankee Stadium. He lasted four innings and gave up two earned runs. Mercker took the loss in Game Five of the ALCS, the victory that clinched the pennant for the Yankees. He surrendered two runs in 3⅔ innings in the 6-1 defeat. In January 2000 the free-agent Mercker signed a one-year, $850,000 deal with Anaheim. In a season shortened by his life-threatening cerebral hemorrhage, he made 21 appearances, 14 as a reliever and 7 as a starter. The Angels declined to offer him a new contract after the season. His 6.52 ERA and 1-3 record in 2000, as well as his medical problems, tightened the market for his services. Mercker signed a free-agent deal with the Red Sox in January 2001, but Boston released him near the end of spring training. Mercker signed a one-year, $500,000 deal with the Colorado Rockies on February 7, 2002. Playing his first full season since 1999, he went 3-1 with a 6.14 ERA for the Rockies in 58 appearances. Mercker signed with the Reds in January 2003 and turned his career around, becoming the set-up man he had been evolving into over the previous few seasons. In 49 appearances, Mercker posted a 2.35 ERA. The Braves re-acquired Mercker down the stretch of their 2003 playoff run, and Mercker shined, surrendering just two earned runs in 17 innings of work for a 1.06 ERA. Mercker made one playoff appearance for the 2003 Braves, who lost in the Division Series to the Chicago Cubs. He pitched a scoreless eighth inning in the Braves’ 4-2 home loss in Game One. Mercker joined the Cubs in the offseason. At age 36, he made 71 relief appearances in 2004. After the season he signed a two-year, $2.75 million deal with the Reds. The seemingly ageless Mercker made a career-high 78 appearances for the 2005 Reds. Before season-ending elbow surgery in mid-August, he pitched in 37 games in 2006 and was released after the season. Mercker sat out the 2007 season to allow his elbow to heal. In 2008 Mercker, now 40, signed a one-year free-agent contract with the Reds. Forty-year-old Kent Mercker went 1-0 in 15 appearances, missing significant action with back trouble. He pitched his last game of the season on May 31, and he got a walk-off victory over his original team, the Braves. After the season, the Reds released him and he retired. Mercker retired with a 74-67 career mark and a 4.16 ERA, strong considering that he spent much of his 18-year career pitching in one of the most explosive offensive eras in major-league history. The left-handed hitting Mercker had a career .113 batting average with 18 RBIs. Four of them came on Mercker’s only home run, a fourth-inning grand-slam off the Florida Marlins’ Jesus Sanchez on September 2, 1998. This biography appeared in "Overcoming Adversity: The Tony Conigliaro Award" (SABR, 2017), edited by Bill Nowlin and Clayton Trutor. 1 Bob Nightengale, “A No-Hitter By Decision,” Los Angeles Times, September 12, 1991. Accessed online on March 1, 2016: articles.latimes.com/1991-09-12/sports/sp-3120_1_kent_mercker; Maryann Hudson, “Dodgers No Hit; Mercker Big Hit,” Los Angeles Times, April 9, 1994. Accessed online on March 1, 2016: articles.latimes.com/1994-04-09/sports/sp-43980_1_kent_mercker. 2 “Mercker Enjoying Home Life During Rehab,” Dublin Villager, July 23, 2008. Accessed online on March 1, 2016: thisweeknews.com/content/stories/dublin/news/2008/07/23/0724dumerckerstory.html. 3 Ibid. 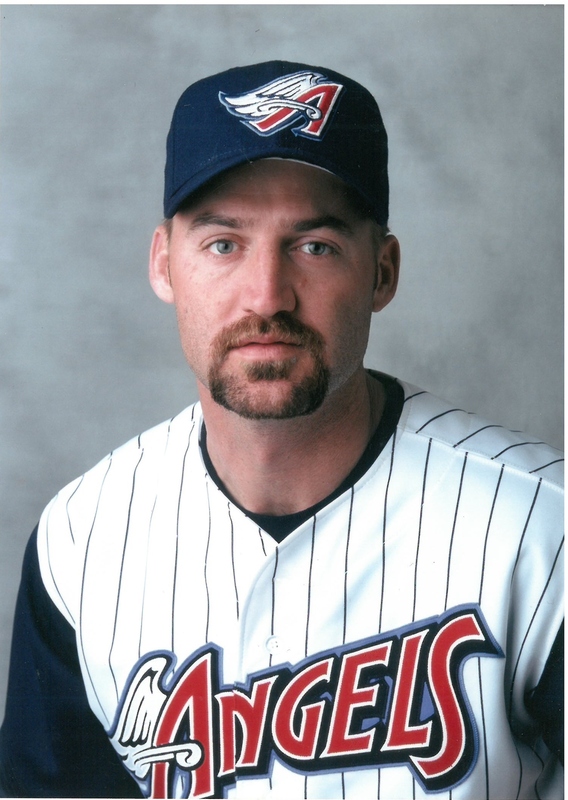 ; Chris Foster, “Angels’ Mercker Recovers From Cerebral Hemorrhage to Pitch Again,” Los Angeles Times, August 12, 2000. Accessed on March 1, 2016: articles.latimes.com/2000/aug/12/sports/sp-3268. 4 United Press International, “Red Sox Sign Mercker,” January 5, 2001. Accessed online on March 1, 2016: upi.com/Archives/2001/01/05/Red-Sox-sign-Kent-Mercker/5888978670800/; Christopher Smith, “St. Louis Cardinals’ Mitch Harris, a Navy Lieutenant, Wins Tony Conigliaro Award Given by Boston Red Sox,” Masslive.com, December 15, 2015. Accessed on March 1, 2016: masslive.com/redsox/index.ssf/2015/12/st_louis_cardinals_mitch_harri.html. 5 Dejan Kovacevic, “Braves’ Mercker Traces Pitching Career to Claridge,” Pittsburgh Post-Gazette, August 1, 1991: E9. 6 Milton Kent, “World Series Notebook,” Baltimore Sun, October 18, 1992. Accessed online on March 1, 2016: articles.baltimoresun.com/1992-10-18/sports/1992292143_1_blue-jays-league-championship-series-rotation. 7 “Dodgers No Hit;Mercker Big Hit”; “No. 35, Kent Mercker,” Braves Journal, October 19, 2006. Accessed online on March 1, 2016: bravesjournal.us/?p=2750. 8 “Linked-in Profile: Kent Mercker,” Linkedin.com. Accessed online on March 1, 2016: linkedin.com/in/kent-mercker-95386b84; Tommy Poe, “Random Ex-Brave: Kent Mercker,” Walk Off Walk. Accessed online on March 1, 2016: blog.walkoffwalk.net/2015/07/random-ex-brave-kent-mercker.html.